OK FRIENDS.... JACOB (Noah Landis' or as some of you may know him as: Dudebra's older brother) will be in LA and we are headed to the Dodgers vs. Rockies game @ 1pm on Sunday, July 14th. 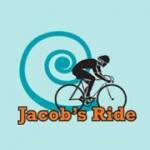 Please come to the game with us to support Jacob on his road to Cochlear Implants for all that may need/want one! Tickets are $28 and every cent of the proceeds will go to providing a man, woman, child, and yes MAYBE EVEN A DOGGIE the ability to hear again!!!!!!! Come one - come all and lets have some hot dogs and beer. please CLICK HERE: https://www.facebook.com/events/562813760431373/ for details on the event!